Did you know that there are over 30 different types of welding processes? That can make it tough to say with complete certainty that one welding method is the absolute best, hands-down. The fact is, NO welding method is the absolute best – that’s why we have 30 different methods in the first place! The best welding method will vary depending on the job: its requirements, the metals, the location, and operator skill level. 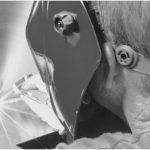 In this post we want to take a quick look at a few of the most common types of welding and where and when to use each welding method. Arc Or Stick Welding. Arc welding is one of the oldest methods and the most cost-effective, because it requires minimal materials. Quick, fast, and portable but requires a good deal of skill to create consistent welds. Best for: outdoor applications, thicker materials (4 mm and above), heavy equipment repair, steel erection, and pipeline welding, manufacturing and construction. MIG Welding. MIG welding is the easiest method to learn and works on a wide range of alloys from aluminum to steel, copper, and even bronze. Best for: thin materials, beginners, horizontal positions, automotive and marine repairs, robotics, and fabrication. TIG Welding. TIG welding is the most versatile welding method, producing the highest quality welds, but it takes the longest to master and requires clean materials. Best for: larger projects and those requiring a high degree of control like aerospace and automotive, tubing and high-precision manufacturing. Flux-Cored Welding. Similar to MIG, Flux Cored welding can be self-shielding, eliminating the need for an external shielding gas and resulting in reduced fumes. It does however, leave slag and does not work well on thin materials. Best for: Thick materials, Steel Erection, Heavy Equipment construction or repair. Still not sure which method is right for you? 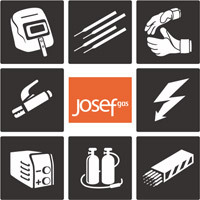 Visit Josef Gas in person and talk to our in-house experts to learn more about specific a welding method as well as the tools and best applications for each. Our showroom is located at 201 Basaltic Road in Concord, Ontario and it is full of the latest welding equipment, just waiting for you to try out!